Helping Hands of Vegas Valley launched its “Feed A Senior” Campaign in celebration of Grandparents Day. As a proud sponsor of this much needed Non-Profit organization, Legacy owners volunteer their time and money to support Helping Hands’ efforts to feed our Valley’s hungry Senior Citizens. Won’t you join us by volunteering to deliver food, pack food bags or sponsor a food drive? Contact Brenda, the Helping Hands Volunteer Coordinator at 702-633-7264 if you would like to volunteer. 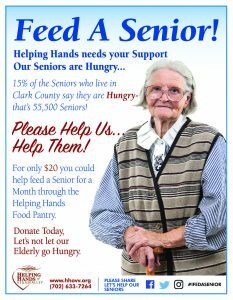 Helping Hand’s food pantry can Feed a hungry Senior for a whole MONTH with just one $20 donation! 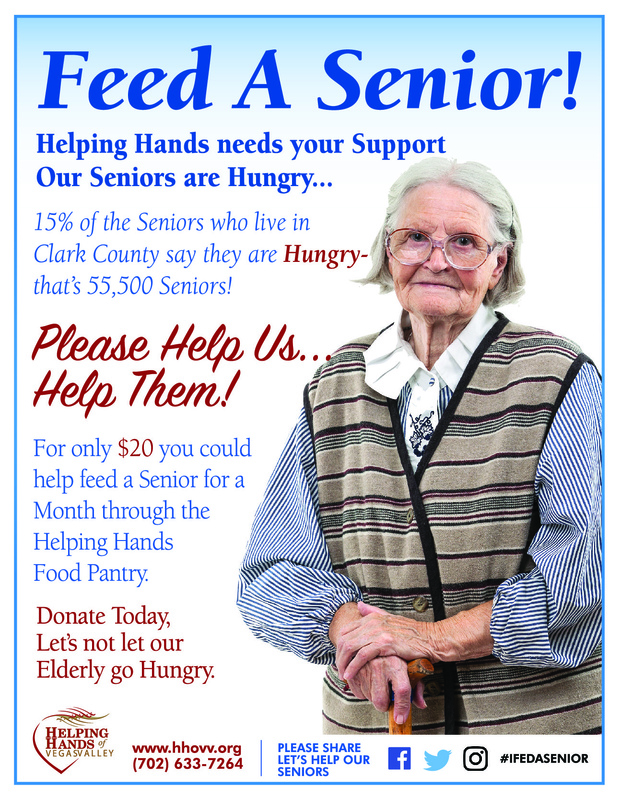 Click Here to donate and feed a senior this month – they need your help! You can make a difference in someone’s life today!! → REST Program – Trainer of the Quarter!